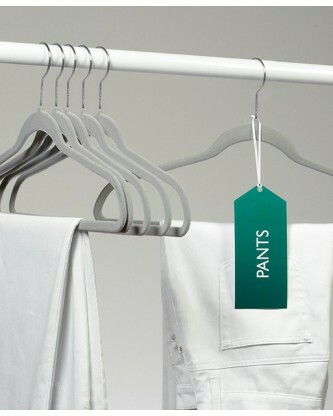 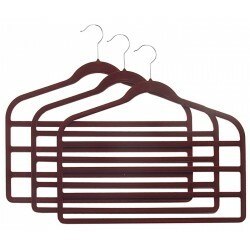 These acclaimed 1/4" thick slimline pant hangers are ultra-slim and ready to give your closet a makeover. 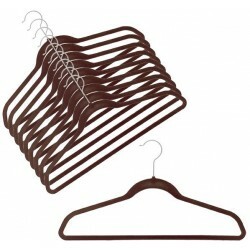 These non slip hangers with velvet flocked material prevent clothes from slipping, while its smooth curves eliminate shoulder bumps. 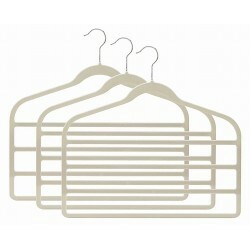 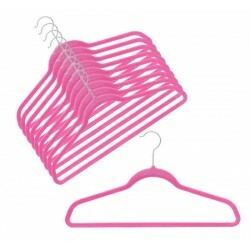 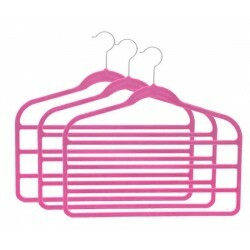 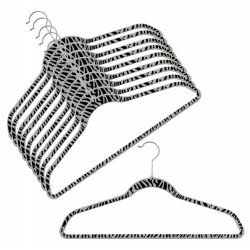 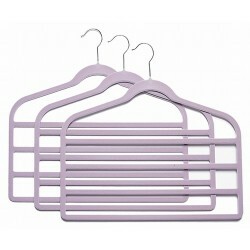 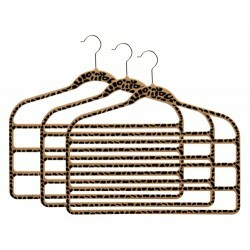 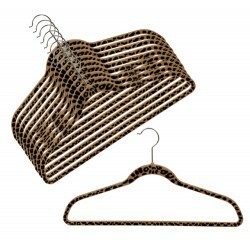 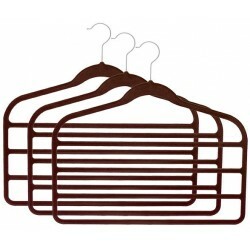 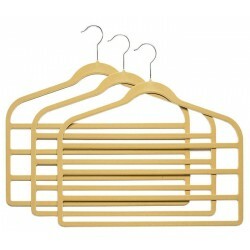 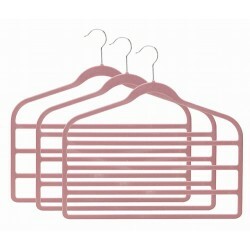 Use these space saving hangers to hang shirts, skirts, pants, dresses and even a full jacket and suit combo.